Trading Volume of the CNAICO Exhibition Zone Maintains a Stable Growth in the 100th Canton Fair. 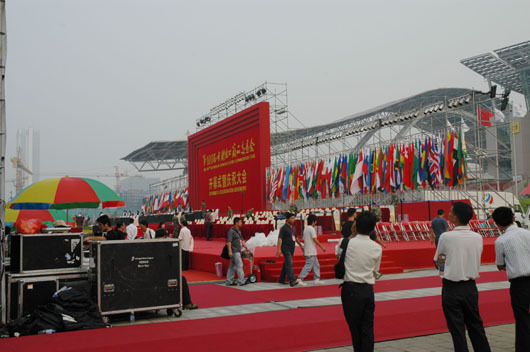 On Oct. 30, 2006, the 100th session of Chinese Export Commodities Fair (Canton Fair) successfully concluded. 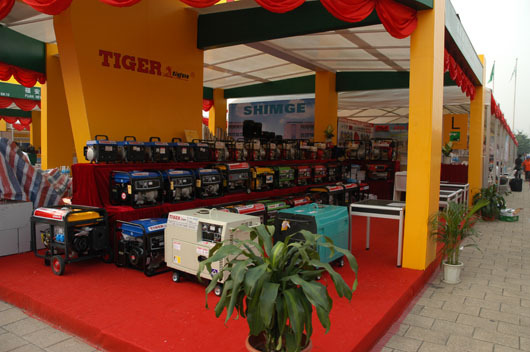 246 enterprises in total participated in the Vehicles and Engineering Machinery Exhibition Zone organized by CNAICO. The exhibition zone has received 65000 person times of international and domestic clients with a trading volume of US$100 million, which created an all-time high in export volume of all the exhibition zones in the Canton Fair. Since it was the 100th Session of Canton Fair, both SINOMACH and CNAICO attached great importance to this exhibition. Mr. Ren Hongbin, President of SINOMACH, and Mr.Liu Dashan, VP of SINOMACH, had been personally to Guangzhou to inspect the preparation work of the exhibition zone done by the three hosting units (including CNAICO) subordinate to SINOMACH. Liu Jingzhen, President of CNAICO, and Jing Yongjian, VP of CNAICO, toured the site to give specific guidance and instructions to the preparation and arrangement of the exhibition. During the exhibition, President Liu, Mr. Wang Erlong, CFO of CNAICO, and Mr. Lin Hailin, VP of CNAICO, also came to inspect and supervise the work. With care and support of leaders at each level, the exhibition organization work of CNAICO has progressed smoothly. In this session of Canton Fair, the sponsor has impropriated part of CNAICO exhibition zone for holding the opening ceremony, which caused a lot of inconvenience to the overall exhibition arrangement and construction. The 2nd Domestic Exhibition Department of CNAICO, led by its General Manager Mr. Guo Qing, has overcome lots of difficulties and eventually accomplished its tasks, gaining recognition of the organizing committee.